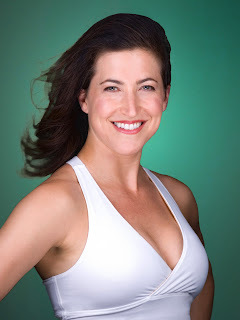 After I graduated from my first teacher training certification course, I felt that I had a great understanding of the work in my body and had clocked literally hundreds of hours working with a wide variety of people with different body types, and needs, everything from rehabilitative requirements to strength-training and pre and post-natal conditioning, so I had confidence in my ability to provide clients with the appropriate exercises that suited them; however, as difficult as this is to admit, what I didn’t know how to do was communicate the work concisely and confidently--how to choose exactly the right words with which to literally transmit what I knew to the client and also, how to physically interact with the client--the specific hands-on techniques to use in each and every scenario! And I knew that I was not alone in this feeling. Since those early days, shortly after completing this first “watershed” teaching course, I was on a path to cultivate greater skill and deepen my understanding of my craft. Along the way, I learned a great deal, too much to do justice to in this short story. Not only did I gain the hands-on and verbal experience that I felt I had been missing in my practice, but I honed my techniques and expounded upon the best of what I learned from others-- I forged a new way, one that literally combined the best elements from the teachings I had been exposed to, and I brought them all together in a powerful, simple approach, one that I have been passing on to others for years. This is a perfect segue to my next thought: that truly the most important lesson that I already held in my heart, but was reminded of along the way, was the value of collaboration, of being open to sharing and co-creation, of being a “forever student.” We can all learn something from others, as experienced as we may be, there is always room for growth and expansion, and for sharing our gifts. And it was in this spirit that I decided to share my hard-won gifts with the world of Pilates devotees and make my own contribution to upholding Joseph Pilates’ standard of excellence and purity. Some of the fruits of my years of labor are now showcased in a forum for others to benefit from and then continue the expansion of greater mind-body-spirit consciousness by then sharing it with others! The Pilates Method Master Trainer Series was born! Alongside my excitement and enthusiasm, were the thoughts about the responsibility towards the public-- to stress that this series was not a replacement for real-life training and that instead, it should be used as a guide and supplement to what I said earlier-- real dedication and hours in the field. It took me a while to decide whether this series was something I should share in this way-- an entire teacher training course, typically a $5,000 value for the accessible price of $399, not to mention the "moral" argument I had with myself-- hoping that people would use it as an essential addition to formal training and not use it as a substitute. In this account, I felt compelled to be utterly open and honest about the conflict I experienced with the decision to release the series and why ultimately, the idea that it would be helping to shape generations of teachers ---won. I knew that it was imperative to share this with others in the community to improve the quality of teaching that would be made available to the public, and hoped that the comprehensive nature of the series’ content would inspire integrity in each and every person who purchased it and viewed it. Communicating the essence of Pilates work has always been a particular source of gratification for me, and after traveling to distant parts of the globe teaching The Method, I knew there was a need for a multi-purpose resource that would serve several needs in the Pilates population: a teaching guide that would help Pilates professionals to become exceptional teachers and also one that would provide students and lovers of Pilates with a comprehensive series that would not only show the viewer all of the exercises in the Pilates syllabus, but go into real depth, discussing the meaning and import behind each exercise, how to properly execute it and how to find the most immediate and effective way to cue it, and how to best use hands-on techniques to facilitate the work. I wanted to create a series that would leave no stone unturned and highlight every aspect of the Method, going well beyond the exercises themselves into the realm of psychology and interpersonal interactions. I wanted to address the vital aspect of responsibility towards another, having healthy boundaries, being able to tap into one’s intuition and empathy when greeting and working with a client, keeping one’s own practice up and maintaining proper self-care and attention to one’s own growth and personal progress while attending to a business that often requires a considerable measure of energetic output-- how to achieve self-preservation and simultaneously cultivate a thriving business. I decided to film one of my complete teacher training courses, from the Mat, including the Magic Circle and Sculpting Series, to the Reformer, the Cadillac, Chair and Barrels, Ladder and small arc barrel, all levels, all case studies, from scoliosis to various injuries, pre and post-natal approaches, for the young, seniors, overweight, and the list goes on and on ...The result is my Pilates Method Master Trainer Series, and it is my hope that this collection of DVDs helps to serve as the bridge from esteemed, accredited teacher training courses into the real-time world of flesh and blood, transformational interactions in Pilates, one that leads you to feel a deeper confidence, steadiness of spirit, greater skill and finesse and inspiration in each and every one of your Pilates experiences whether you teach it to many, or practice it on your own! For further information on Jennifer Kries please visit www.jenniferkries.com.